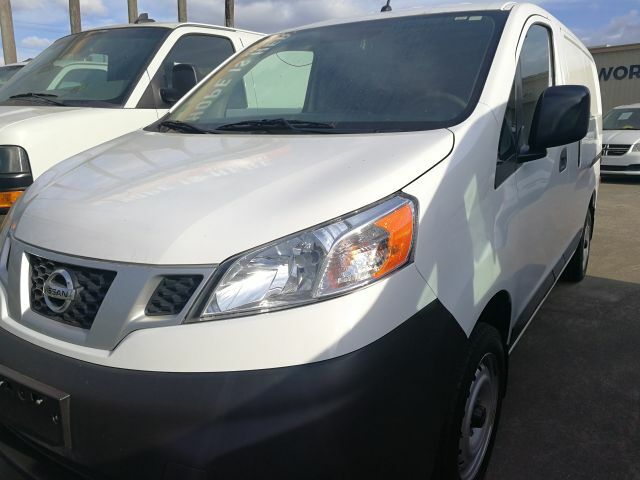 Fleetworks offers used Nissan NV200 Cargo Van for sale in our Houston, Texas location at 4815 Katy Freeway. We carry several NIssan NV200 with low miles, clean CARFAX, full maintenance record, accident-free, inspected in 100+ points and tested to provide you with the world-class buying experience. 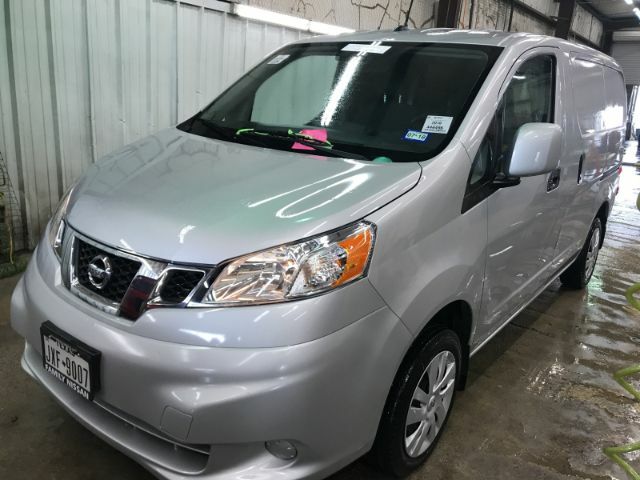 For more information about used Nissan NV200 in our inventory call (713) 909-7261. Si habla Espanol. Maybe, Nissan NV200 compact cargo vans aren’t so glamorous, but they sure are useful. Built for small business that doesn’t need a massive fleet, the Nissan NV200 offers affordable transportation that’s easy to maneuver and economical to function. Even though not as refined or big as the Ram ProMaster City or Ford Transit Connect, the Nissan can still haul 122 cu. ft. of a load. The versatile cargo space can also be customized by upfitters to serve the needs of its owner better. Its small size makes it no sweat to park and drive in city traffic, and when the work is finally done, NV200 can be easily stored in a residential garage. Unlike some competitors where there’s an almost confusing assortment of trims, wheelbases, engines, roofs, boxes, and other configurations all models of Nissan NV200 have the same body, wheelbase, and engine. Additionally, the Nissan compact cargo van drives and looks like a car, making it a smooth transition for newbies with cargo vehicles. The Nissan NV200 is available in 2 trims: S and SV. Both come with a 2.0-liter 4-cyl. engine, 131 horsepower, and 139 lbf-ft of torque, front-wheel drive, and an XTRONIC CVT (continuously variable automatic transmission). Its fantastic 36.7 inches turning diameter aids you cruise tight streets and narrow lot places while allowing you to place the van as close as possible to your job location. Plus, with the lowest starting MSRP in compact cargo van class, you’ll save a lot on the fuel economy. Maybe, besides the price, the Nissan NV200’s most attractive feature is how easy it’s to “ride.” The small size, car-like suspension, and tight 36.7-ft. turning radius allows the NV200 access to spaces that larger pickups and vans wouldn’t dare to try. Single-lane U-turns are a piece of cake for this compact van, and parallel parking is undemanding due to the rearview monitor. Its big windshield provides excellent visibility and large side mirrors somewhat compensate for the big blind spots produces by the solid side panels. The Nissan NV200, and the standard S model especially, doesn’t offer much in the term of comfort. Its tilt-only steering wheel may make it hard for you to find an adequate driving position. As trucks and work vans go, the NV200’s drive quality is average, and the drive will also be affected if you load the van to its max payload. A lack of steering wheel adjustment will negatively impact the ability to find a comfy driving position. There’s a center armrest for the driver only and poor designed sloping door panel for the armrest. From a rear suspension specifically designed to minimize the intrusion into the cargo space, to rear doors that swing dual sliding and wide doors, this vehicle makes it easy to manipulate every inch of 122.7” cargo space. You can employ every inch of available space, including the 54.8 inches of width, due to the squared-off inner wheel arches. Their space-effective blueprint lets stackable and organized loading that is also more secure throughout transport. The cargo floor 48 inches wide and 82.8 inches deep between the wheel arches. The rear openings include squared-off corners to be more accessible for a forklift. Its incredibly low cargo floor with a liftover 21.2” height is an excellent back-saver, while loading heavier objects is quick and easy. Featuring 127.7 cu. ft. of the cargo area, side doors with dual slide functions and rear swinging doors for instant access, van accommodations are unchallenging to make for shelving, storage units, and other compartments. When it is time to get down to business, the NV200 cargo van switches easily into rolling office. The fold-down passenger seat makes a work desk, while power outlets and smart storage are “right there” within research. The NV200’s interior puts function over style. Up front are 2 bucket seats, while the driver’s seat provides a right armrest for extra comfort. The passenger seat folds flat to make a workbench, desk or more space for longer stuff. The cargo floor is layered with a simple, coarser, padded rubber mat. The mat is padded suffice so that you can make a comfy move in the van on knees as you secure thing or look for items. Also, this commercial cargo vehicle has a good surface friction ratio that allows things to be slid across it while being less slippery than a bare metal floor. The Nissan NV200’s styling or lack thereof isn’t its top priority. Again, function beats the image. Accessibility is easy due to the dual sliding side doors and 60/40- split rear French doors that open 180°. The proportions are good, and the large sliding door on both sides is indeed a huge help for loading/unloading options. The rear end is clean and subtle, and while the rear window seems a little short and high. The included backup camera certainly makes up for that. The NV200’s cabin features no fancy materials and controls. There’s nothing that feels or looks luxurious, but that’s why the durability of cabin isn’t long. Diligent drivers will appreciate the standard adjustable support, and the vinyl wear patches should extend the cloth fabric’s shelf life. The base Nissan NV 200 S model includes cargo-area work light, cargo-bay floor protector, power windows, manually adjustable seats with vinyl wear patches, power door locks, rearview monitor, AM/FM/CD audio system with a USB, Bluetooth, and air conditioning. The higher-trim SV model beside this features adds satellite radio, cruise control, wheel covers, power heated exterior mirrors, a 12-volt power outlet in the rear, and 6 D-rings mounted to the cargo floor. Additionally, you can choose extra features such as anti-theft bolt, seat belt extender, Nissan vehicle tracking/recovery system, and the first-aid kit. Also, the Nissan tech kit includes a navigation system, Nissan connect mobile applications that will boost your business instantly. Tech packet includes SiriusXM radio and SiriusXM traffic & travel link, too. The NV200 comes standard with stability control and 6 airbags. It hasn’t been crashed tested yet by the IIHS (Insurance Institute for Highway Safety) and NHTSA (National Highway Traffic Safety Administration). Nissan’s brake override technology is designed to slow down van and help to deliver it to a safe stop in an emergency situation. According to the EPA (Environmental Protection Agency), the Nissan NV200 compact cargo van achieves a fuel economy of 26 miles per gallon on the highway and 24 mpg in the city. Nissan NV200 gives 5 years warranty or 100,000 miles of power train coverage and bumper-to-bumper coverage. Besides, Nissan comes with 5 years of corrosion coverage with unlimited miles. What’s New in 2019 Nissan NV200? The 2019 Nissan NV200 is like before a front-wheel drive with a low load floor and sliding doors on both sides of the compact van. It's basic inside. Still, the new NV200 has a music streaming, Bluetooth, and USB port. If you’re searching for the ideal compact cargo van model, then you may have already noticed the NV200. For many fleets both small and large, the NV200 is a good choice. Still, there’re 2 trim levels with so you might ask what the main difference between them is? Both of those trim grades come at nearly the same list price, still with the SV you get a little extra. The NV200 comes with 15-in steel wheels, 6 standard airbags, 40/60 rear cargo doors, a fold-down passenger seat power locks with an auto-locking feature, and hill start assist. This version also includes a CVT which is matched to a 2.0- liter, 4-cylinder engine that makes 139 lbf-ft with 131 horsepower. The NV200 is more luxury than the S model and brings all from the S trim with some extra features. At this grade, you get cruise control, additional 12-volt DC power outlets, 6-floor mounted cargo area D-rings, a chrome grille, heated power side mirrors, body-colored bumpers & mirrors, and remote keyless entry. The new or used Nissan NV200 Compact Cargo is ready to become the powerhouse of your business. It’s up to the task with surprising cargo capacity, still small dimensions when it comes to navigating through traffic, and smaller yet when considering your budget. NV200 is ready to become the win-win solution of your cargo van fleet. It is also significantly more fuel-efficient than those full-size cargo vans. Furthermore, NV200 cargo space can be upfitted by specialized professionals to serve the needs of businesses such as plumbing, electrician, HVAC, contractor or delivery.